Are you ready to get the most out of X-Particles? 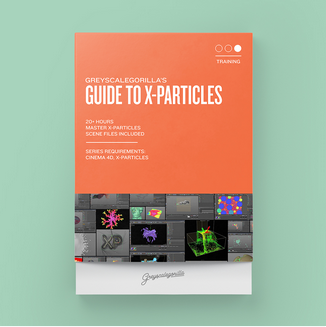 If you are serious about learning XP, Greyscalegorilla’s Guide to X-Particles is the must-have series to get you up and running. X-Particles is the must-have particle solution for Cinema 4D. It has been used in countless productions and is employed wherever dynamic particles are needed. Though X-Particles is intuitive as far as particle systems go, it can still be daunting to even the most experienced artist. Nettopreis 251,26 € exkl. MwSt. Weiterführende Links zu "Greyscalegorilla’s Guide to X-Particles"